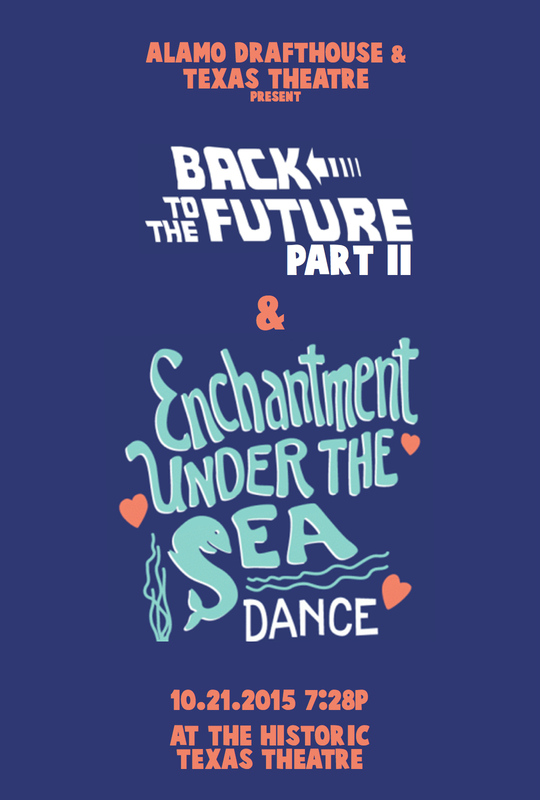 The Alamo Drafthouse is pleased to announce a collaboration with Aviation Cinemas and Texas Theatre for a special showing of BACK TO THE FUTURE PART II with a themed after party to celebrate the day that Doc Brown and Marty McFly travel to the future - October 21, 2015. It will be a night where the past and the future collide at the historic 84-year-old theater. Festivities begin at 6:30 pm and will feature a replica DeLorean Time Machine, custom Wild Gunman arcade, a DJ spinning '50s, '80s and 2015 music, themed drink specials and more surprises! The precise time Doc and Marty travel from 2015 back to an alternate 1985. Lining up with the time that they travel to 2015. "We've been looking for screening event to work together on ever since Alamo Drafthouse came to town and I can't think of a better mashup than this once in a lifetime time space alignment of 10-21-15!" Tim and Karrie League founded Alamo Drafthouse Cinema in 1997 as a single-screen mom and pop repertory theater in Austin. 17 years later, the now 19-location chain has been named "the best theater in America" by Entertainment Weekly and "the best theater in the world" by Wired. The Alamo Drafthouse Cinema has built a reputation as a movie lover's oasis not only by combining food and drink service with the movie-going experience, but also introducing unique programming and high-profile, star studded special events. Alamo Drafthouse Founder & CEO, Tim League, created Fantastic Fest, a world renowned film festival dubbed "The Geek Telluride" by Variety. Fantastic Fest showcases eight days of genre cinema from independents, international filmmakers and major Hollywood studios. The Alamo Drafthouse's collectible art gallery, Mondo, offers breathtaking, original products featuring designs from world-famous artists based on licenses for popular TV and Movie properties including Star Wars, Star Trek & Universal Monsters. The Alamo Drafthouse Cinema is expanding its brand in new and exciting ways, including Drafthouse Films which has garnered two Academy Award nominations in its short three-year existence and Birth.Movies.Death, an entertainment news blog curated by veteran journalist Devin Faraci.